VISITING Stonehenge during the Summer Solstice has been voted as one of the top 25 life experiences in the world today. The ultimate Wonder List of must-do life experiences was created following a study commissioned to celebrate the 25th anniversary of the Discovery Channel. An expert panel, which included adventurer Bear Grylls and editors of Wanderlust, Lonely Planet Traveller Magazine and National Geographic Traveller, created a long-list of the must-do worldwide experiences, which a poll of 2,000 British adults then cut to a shortlist of 25. The most popular life experience was to visit the North Cape in Norway to see the Aurora Borealis, a stunning natural light display, followed by snorkelling along the Great Barrier Reef in Australia and a road trip along Route 66 in America. 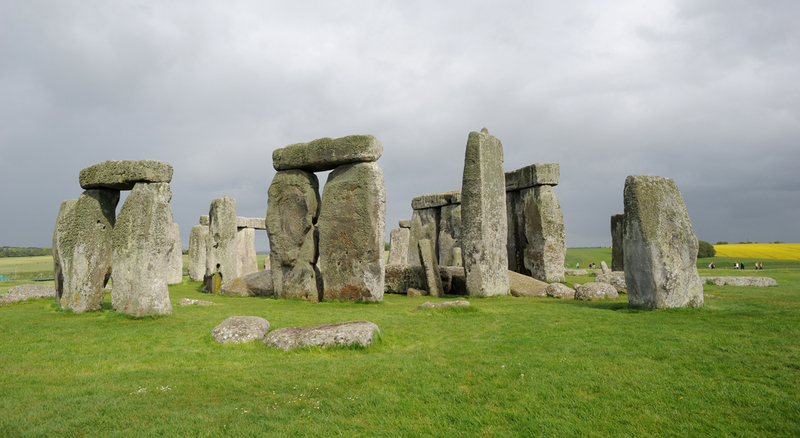 Stonehenge came 18th in the list, one of only two British experiences to make the list. The other, celebrating Hogmanay in Edinburgh, was number 23. 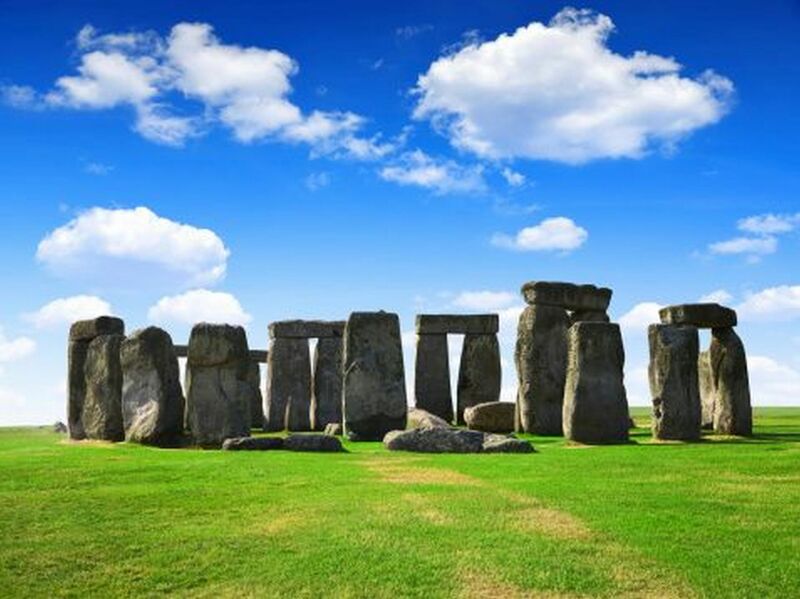 Susanna Dinnage, managing director of Discovery Networks UK & Ireland, said: “It’s lovely to see great British experiences, such as visiting Stonehenge during the Summer Solstice, figure so highly on the list. Be it adventures on home soil or experiencing life-defining moments further afield, we believe there’s always more to know, to experience and to explore. They were also asked to nominate the best life experiences to be had in the UK, and visiting Stonehenge during the Summer Solstice got more than a third of the vote, as well as the seven natural wonders of the UK and the seven manmade wonders of the UK, with Stonehenge also topping the latter with over half the nation’s vote. The findings revealed over half of us have private wonder list of experiences we want to complete and a lack of money is the number on reason stopping people completing their own wonder list. Honour for Stonehenge Exhibition and Visitor Centre. Stonehenge Exhibition and Visitor Centre by Denton Corker Marshall Architects has won an RIBA South West Award 2014 from the Royal Institute of British Architects. The £6.9m building, named in a prestigious ceremony at City Hall, Bristol, yesterday, takes an Australian aboriginal dictum of ‘touching the earth lightly’ to perch on an archaeological landscape creating a vastly improved visitor experience. 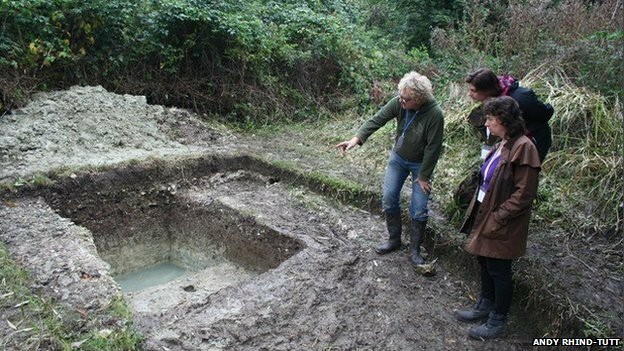 A major part of the £27million Stonehenge Environmental Improvements Programme – the largest capital project ever undertaken by English Heritage – the new visitor building, is 2.1km (1.5 miles) to the west of Stonehenge. RIBA South West Awards recognise examples of innovative and outstanding new architecture within the region. Chair of the jury, John Pardey of multiple award-winning John Pardey Architects said of the English Heritage project: “The building follows the concept sketch by the architect Barry Marshall. “A forest of thin square columns dancing at different angles likes tree trunks, supporting a curvy canopy roof, which has fretted edges like leaves meeting the sky. Spaces are laid out with precise clarity and work fabulously well’. ‘The visitor centre provides an essentially outdoor experience and that is as it should be on this wide Wiltshire landscape’. RIBA South West regional director Jon Watkins said ‘The RIBA South West Awards always bring out the best in local and national architects across our vast region. It is delightful that Salisbury Plain is a focus for local success and quality this year, and I commend the client and architects for their work in raising the profile of architecture nationally and in Wiltshire’. RIBA South West Award winners will also be considered for a highly-coveted RIBA National Award in recognition of their architectural excellence, which will be announced in June. The shortlist for the RIBA Stirling Prize for the best building of the year will be drawn from the RIBA National Award-winning buildings later in the year. The £6.9m building, named in a prestigious ceremony at City Hall, Bristol, yesterday, takes an Australian aboriginal dictum of ‘touching the earth lightly’ to perch on an archaeological landscape creating a vastly improved visitor experience. 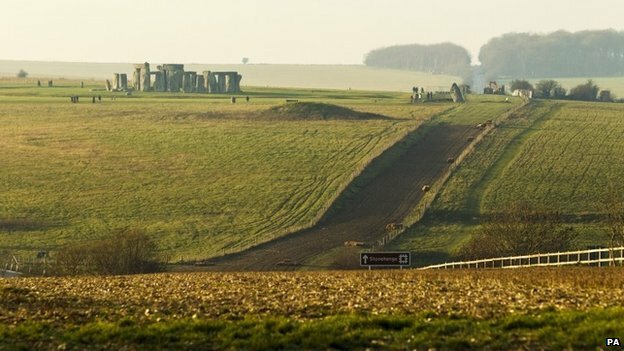 A major part of the £27million Stonehenge Environmental Improvements Programme – the largest capital project ever undertaken by English Heritage – the new visitor building, is 2.1km (1.5 miles) to the west of Stonehenge. 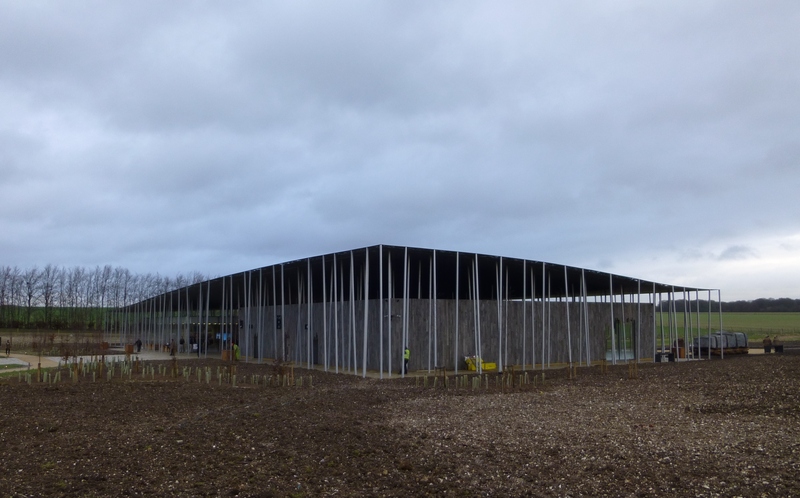 The works are far from over, but the visitor centre is starting to bed in, there is less bare mud about and on a wet sky windy spring day it was possible to experience a bit of the Stonehenge we will be learning to know in future. It feels good. 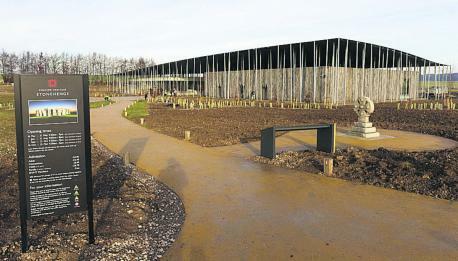 I was there for a press view of what English Heritage grandly calls its “external gallery”, the near complete group of imagined neolithic houses round the back of the visitor centre. Whether or not they are in the least bit neolithic (wheat ears dangling from the thatch look suspicious), the houses are fun and I imagine will be popular with visitors, especially kids. Until newly planted trees grow up to obscure them, they make a nice earthy, rounded contrast to Denton Corker Marshall’s ephemeral linearity. 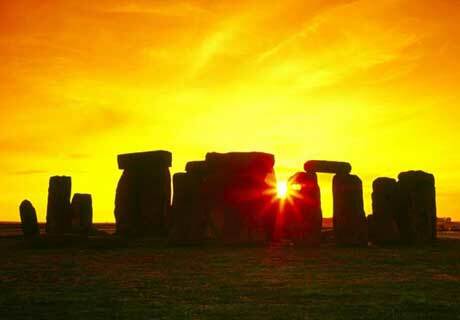 English Heritage is pleased to be providing Managed Open Access to Stonehenge for the Summer Solstice on 20-21 June 2014. Please help us to create a peaceful occasion by taking personal responsibility and following the Conditions of Entry and guidelines set out on these pages. The full Conditions of Entry can also be downloaded from their website.